245 choice outtakes, live concert tracks, demos, overdub sessions, and rehearsals (10CD). 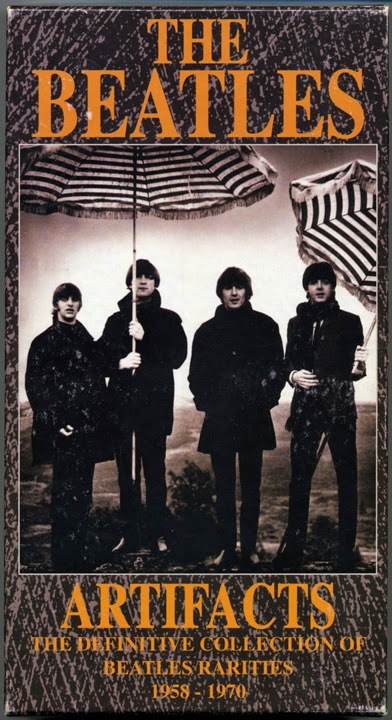 "Artifacts II" is a continuation of The Beatles rarities collection begun with "Artifacts" in 1993. As with the original box set this set includes the most elusive and rarest tracks currently in the hands of private collectors - many of which have come to light only within the past year. Source: CD-Rs received in a vine. Ripped with EAC to WAV and converted to FLAC. MD5s generated and archived on DVD media. Clearly NOT definitive. I once heard an alternate take of 'Happiness is a Warm Gun' with a really cool keyboard sound, and I've never seen it anywhere since... this does not have it. It's on a Beatleg called "The Beatles - The Capitol Versions - White Album"
Very nice mellotrome (or whatever instrument). It's actually in the official release, but buried way back in the mix. I agree that it is really cool. Thank You SO MUCH For The Re-Post ! Excellent blog. Thank you. Best Regards.